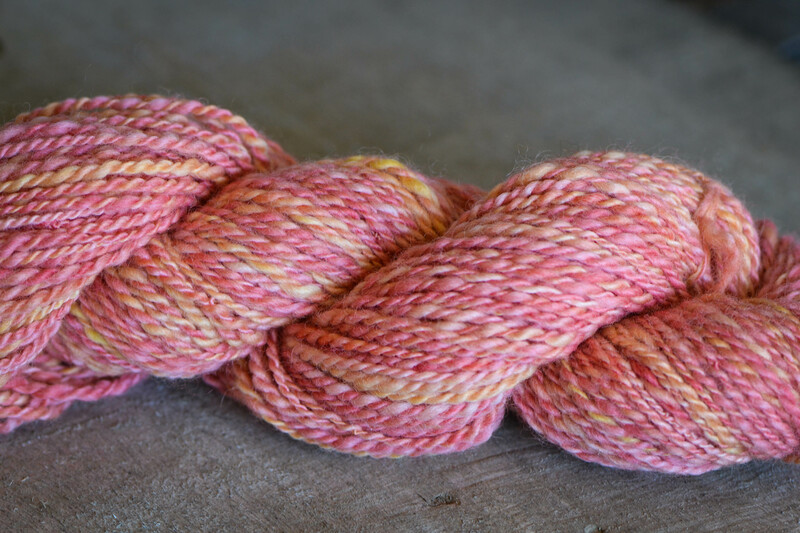 Almost a year ago I dyed some of Flora’s merino roving for some peachy pink yarn. I was keen to try a spinning technique called fractal plying where the same colour scheme repeats in a cycle, creating a lovely pattern. 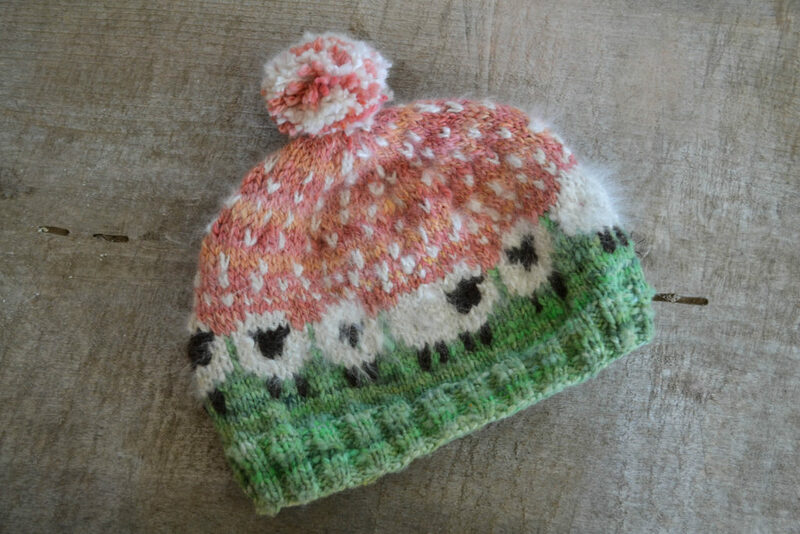 I loved making this yarn as much as Sunshine loved the colours. So I spun up two more fractal skeins in blues and in greens and some white wool from our angora bunnies, Lavender and Miss Daisy. 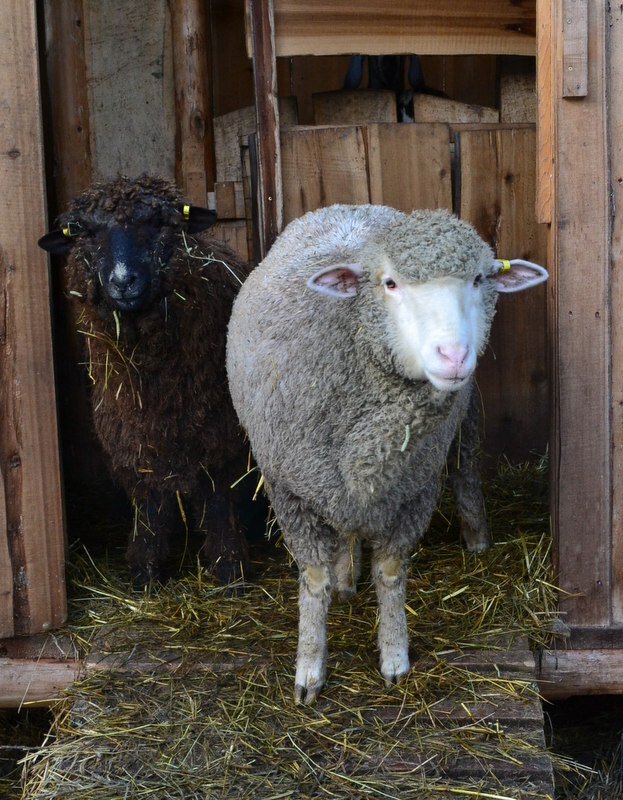 The brown yarn is from last year’s ram, Romeo. 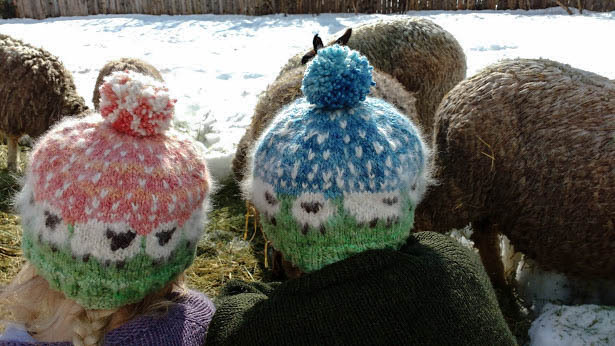 In my head, a couple of matching Baa-ble hats were taking form for my daughter and myself. 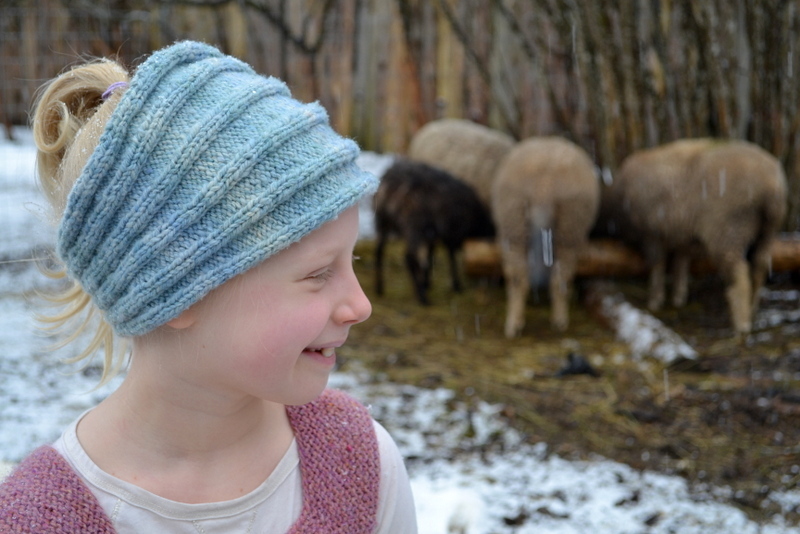 Altogether, it was such a fun project, bringing full circle from our beloved sheep to dyeing, spinning, knitting, and keeping heads cozy. With the melt beginning, we may not be wearing these hats for too much longer this season…they are very thick with all the stranding inside. However, Sunshine doesn’t seem to want to take it off. And she has declared she needs a cowl to match. I just might be able to indulge my girl for some matching accessories. Last night, there was a whole chorus of frogs singing away, down by the river. While it was exciting to hear our friends croaking away, I find this quite disorienting as it is still March…in the mountains. We woke up to frost everywhere this morning, and at music lessons yesterday, there were piles of snow in patches across their yard. And yet, the frogs are singing full gusto. 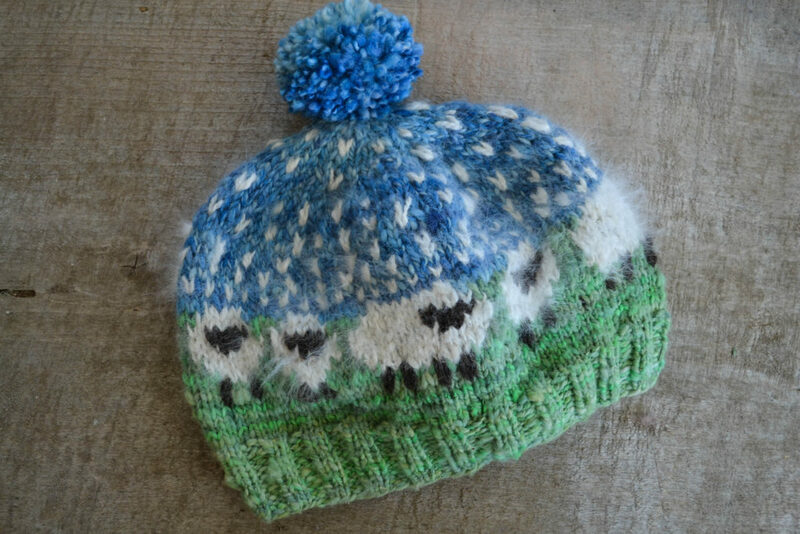 It makes sense, in a way, that I am posting a hat I knitted up, despite the warm days that have us peeling off woolen layers…strewn about our own yard that is sprouting up grass to feed our sheep. However, once the sun sinks behind the mountain, we throw on our sweaters and vests and jackets before you can count to twenty ~ I know this because we’ve tried. Without the sun shining down on us, it doesn’t take long to get chilled. Good thing I finished this hat. Rather, I re-finished it. 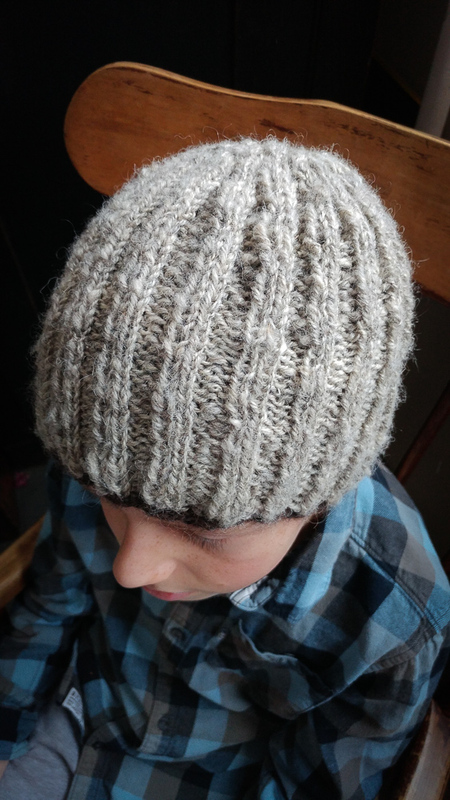 I knit myself a winter hat over a year ago and was happy to have a cozy head for our cold mountain winters. 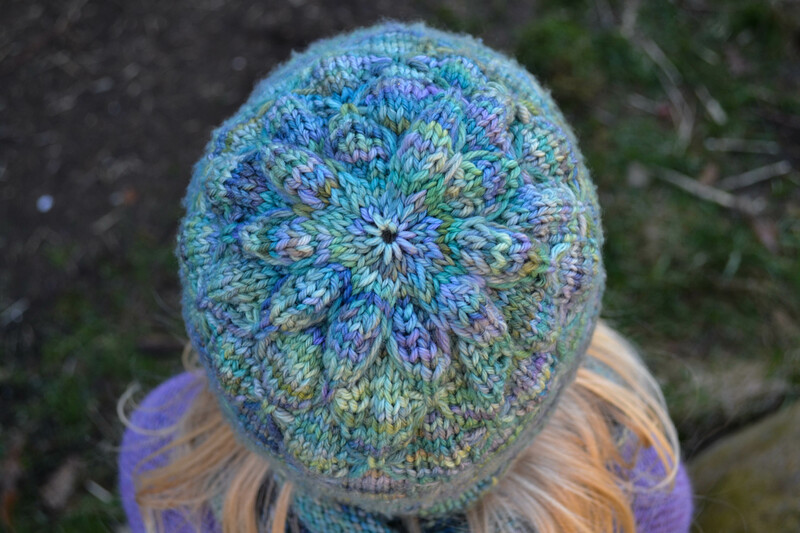 However, I was dismayed to find it was more of a beanie than a good warm hat and so it found a spot in the corner of our hat basket, gathering dust…though gratefully, no moths. 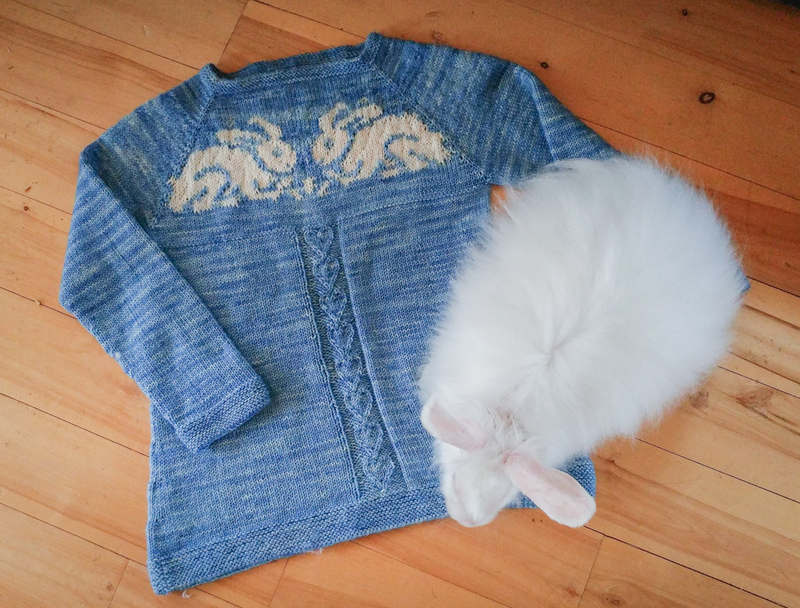 But it is such beautiful yarn that I finally sat down and unravelled the decreasing bits and re-knit the top. I think it took me all of twenty minutes to finish it! 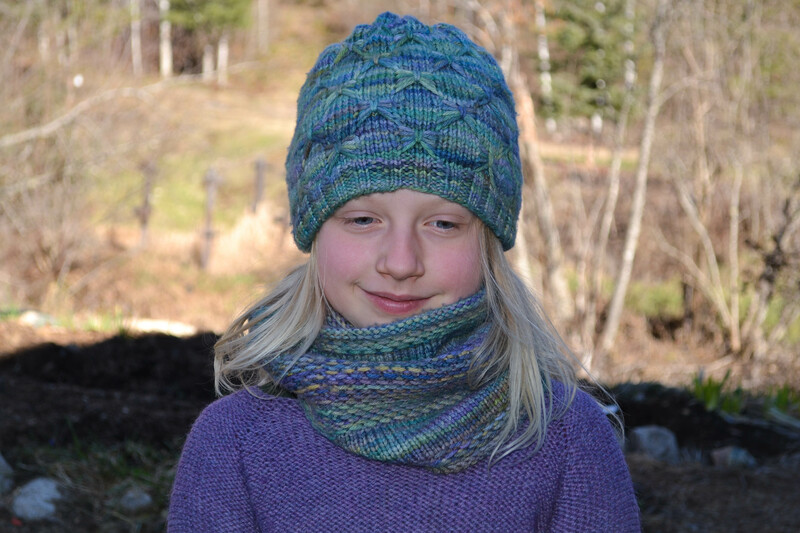 I knit the Butterfly Hat, a favourite pattern of mine, in the same Malabrigo Rios yarn to match the Honey Cowl from a few years ago. 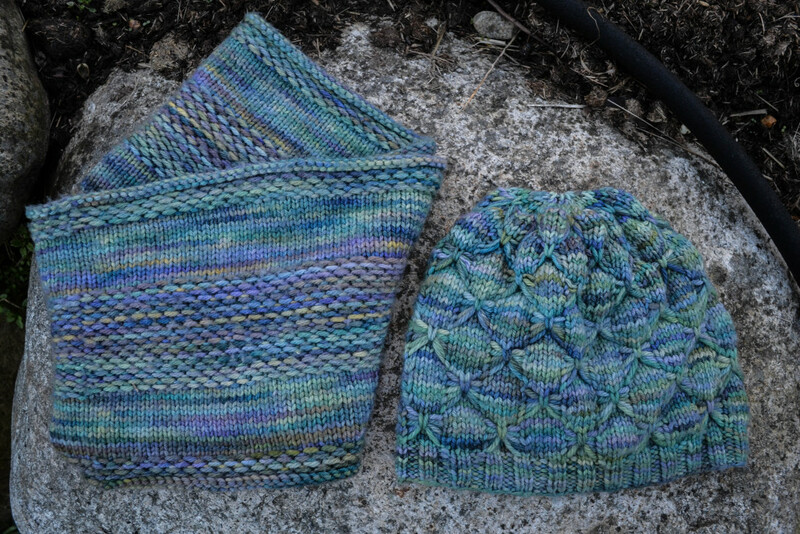 The yarn is so decadently beautiful I feel a little spoiled wearing them. 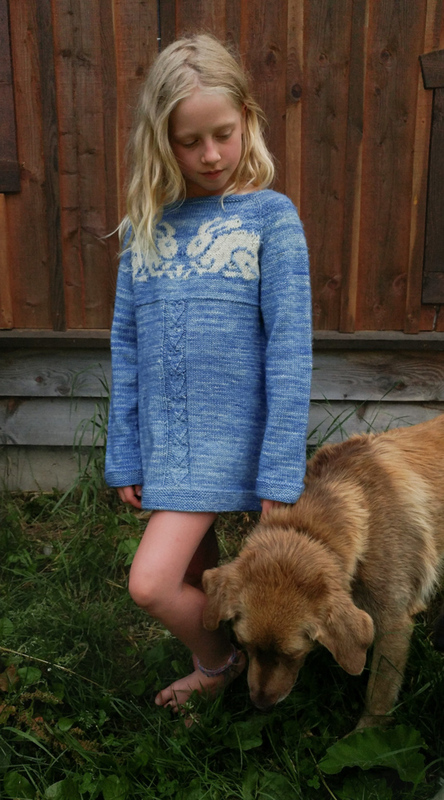 These are definately not farm knits…and I hope to keep them far away from the barn, the mud, and the hay…oh, and the nimble mouths of goats. My spinning wheel is getting more attention lately…I’m trying to use up as much of the mountain of roving I’ve collected in the past few years. 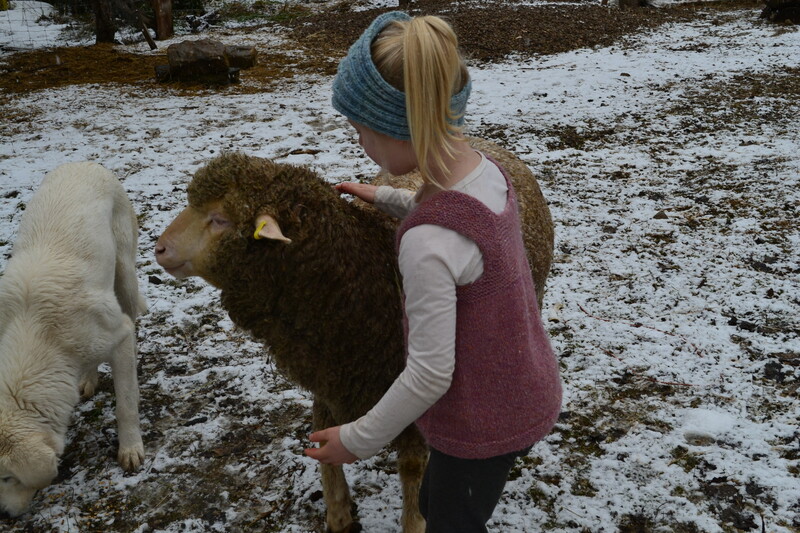 Combined with my own sheep’s fleeces from last year, it is getting slightly out of hand over here. A little fibre hording gone awry. My mini flock of sheep are getting shorn tomorrow, so I’m thinking this can justify all the time spent with my wheel this week. 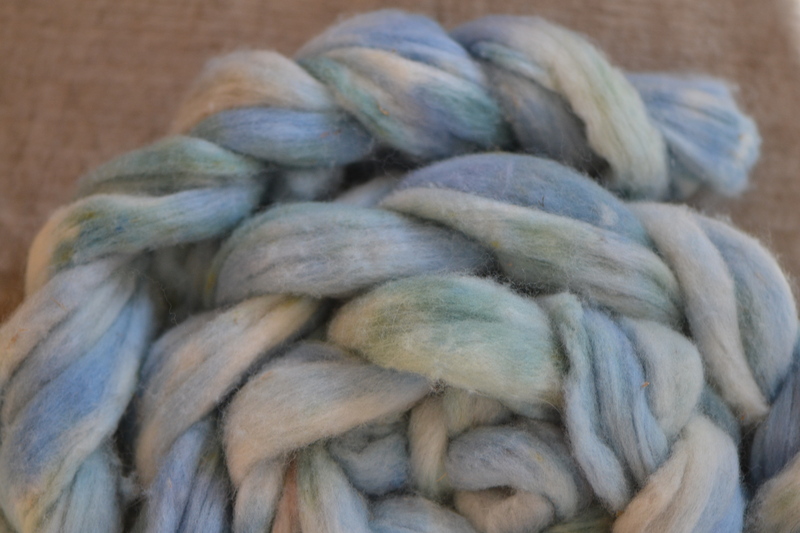 I figured out how to fractal spin and dyed up 4 ounces of Blue Faced Leicester roving to give it a try. 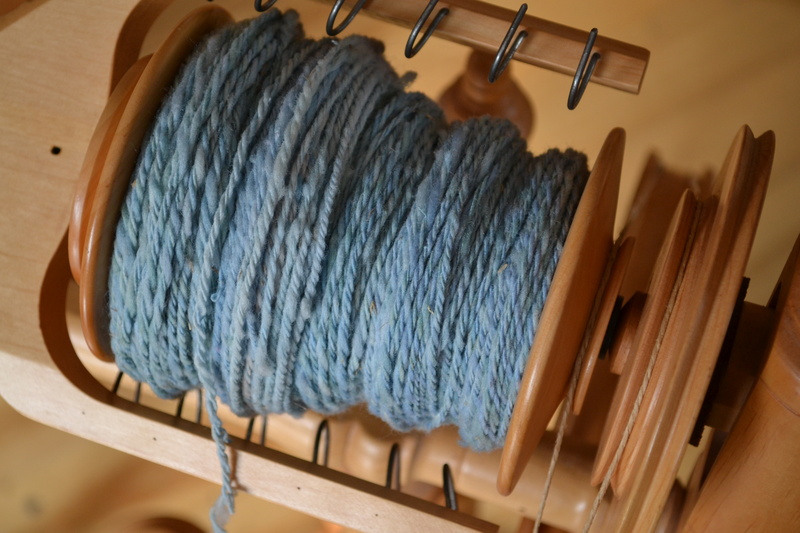 BFL is one of my favourite wools to spin as it is very very soft and springy…and a joy to spin. Once dyed and dried, I split the roving in half. One of the halves became four. And then I spun it all to keep the dye sequence the same, hence creating the visual rhythm that creates the fractal effect. The real magic comes with plying the two singles together and the colour combinations take effect. 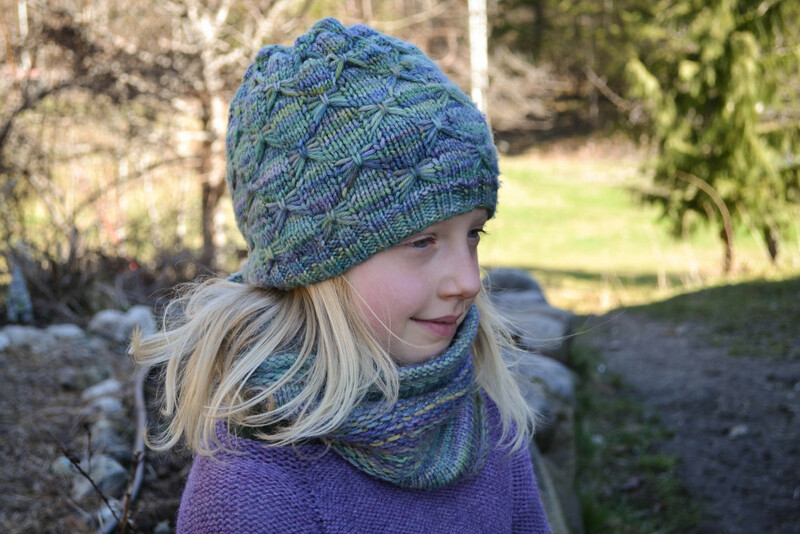 Sunshine is trying to persuade me to keep this cheerful skein of squishy softness, but I’m leaning towards adding it to our shop…I think I’ll try and recreate another just for my girl so we can sell one and keep one. Seems like a good compromise. And soon, that mountain of wool is going to get bigger. A whole lot bigger. 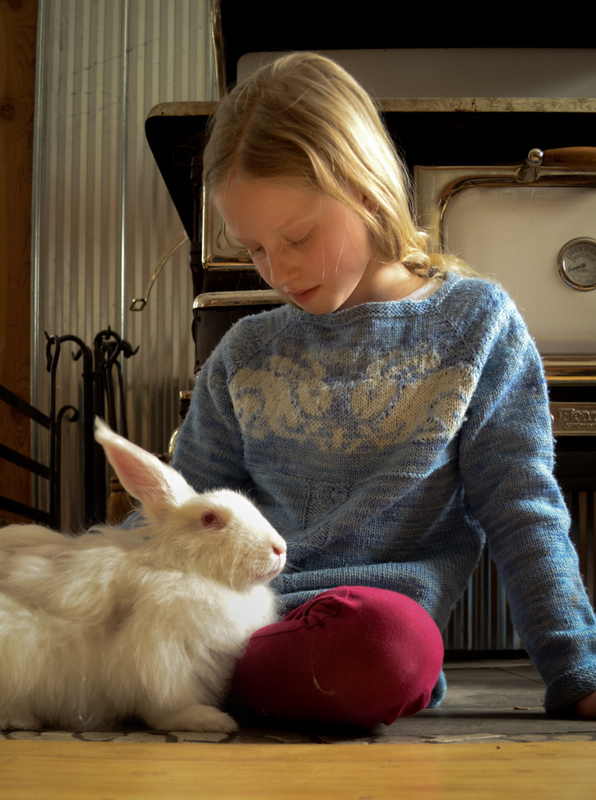 After our first shearing last spring, Flora’s fleece was the only one I sent for processing. 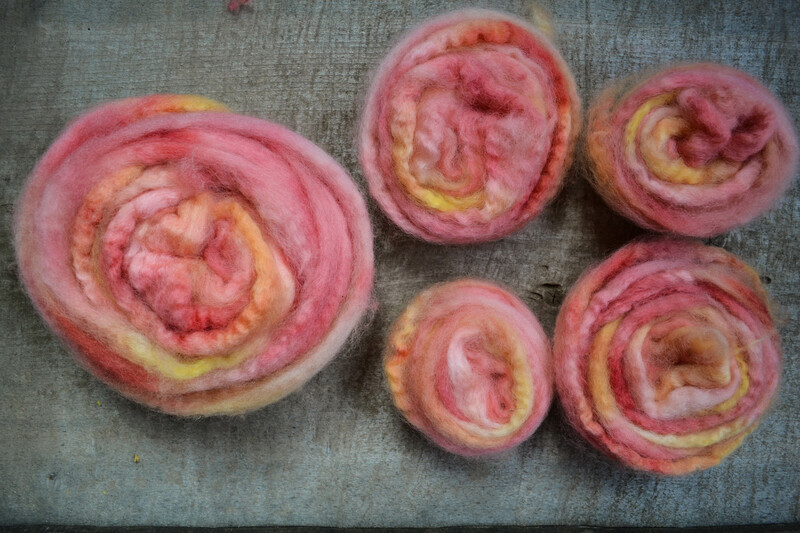 New to managing sheep and fleece, I was sort of testing out the mill’s work, and I must say I’m quite happy with the roving that arrived home to me, several months later. Though, there it sat, in my bedroom…the first thing I saw in the morning and the last thing I saw at night. 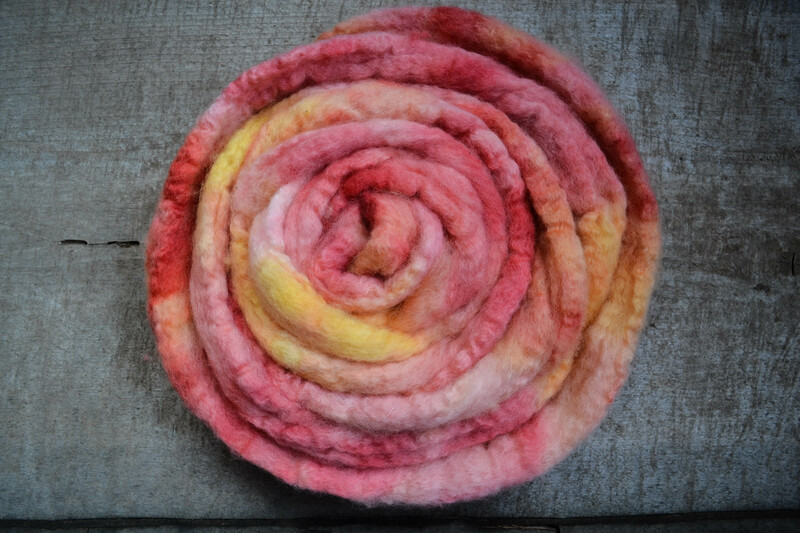 I was so indecisive about what to do with 4 lbs of that soft merino roving that I didn’t do anything. I finally decided to replace the tattered and well-loved headband I made several years ago and has since been delegated to farm chores. 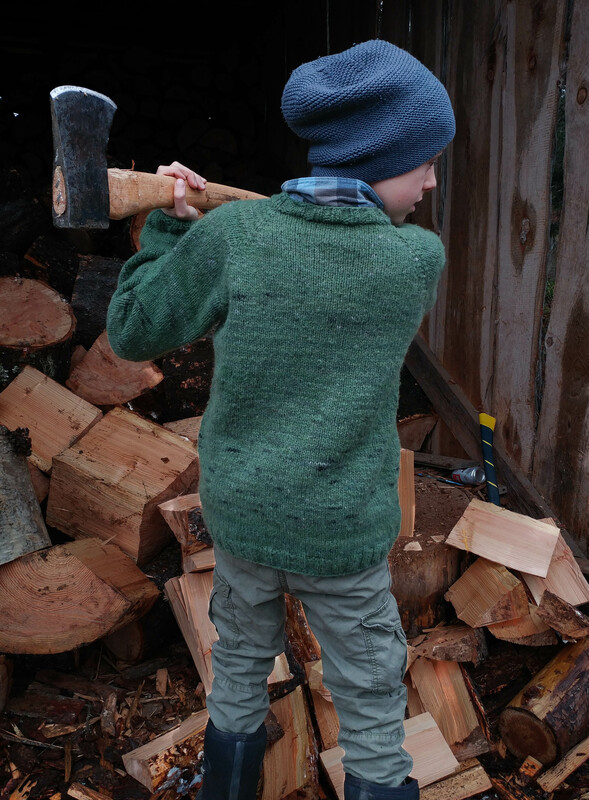 Whenever something is ragged or tossable…it becomes farm chore clothing. 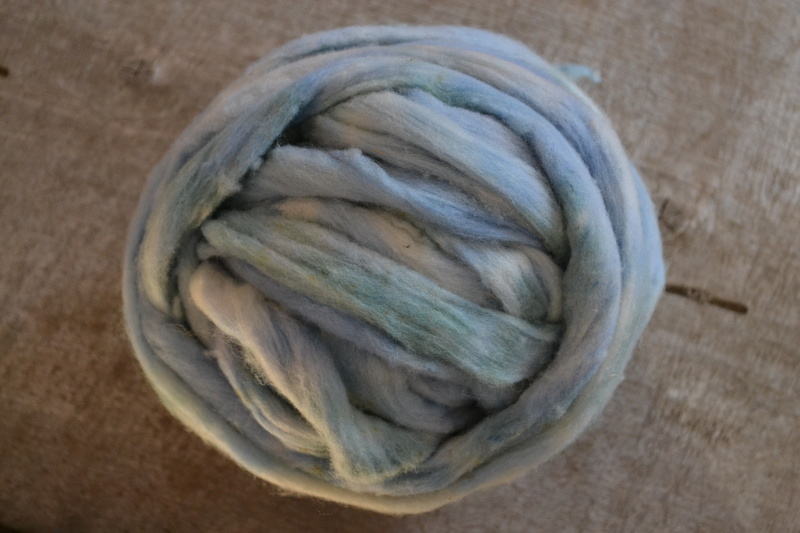 Finally, after the holiday knitting wrapped up, I decided to dye the roving in soft blues and aquas. 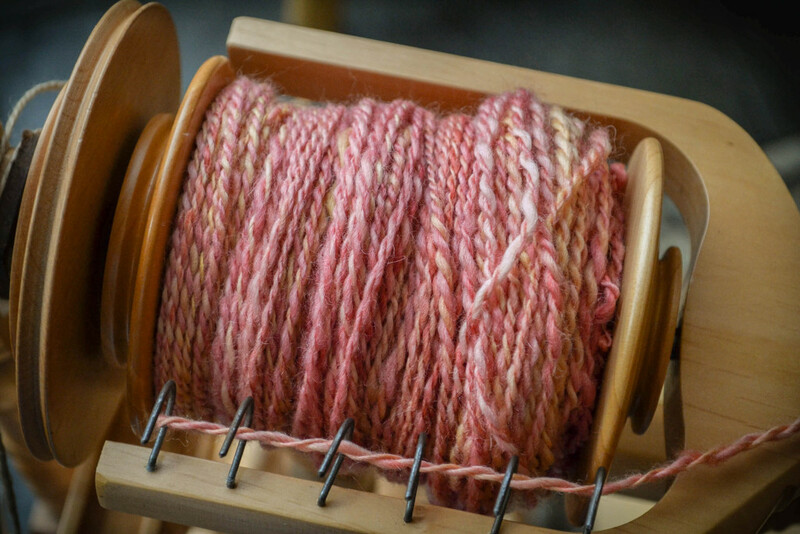 Then I spun 3 singles and made it into 3 ply yarn which is my preferred way to spin wool. 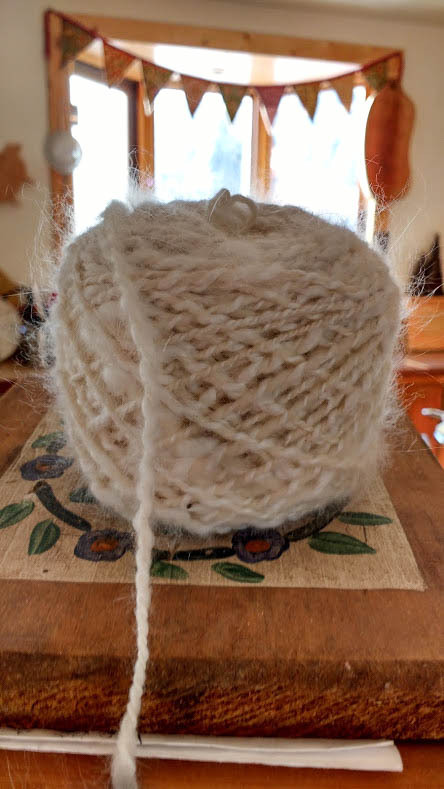 I don’t pay a lot of attention to technical things that many spinners do, though I did weigh the headband to get an idea of how much roving to spin. 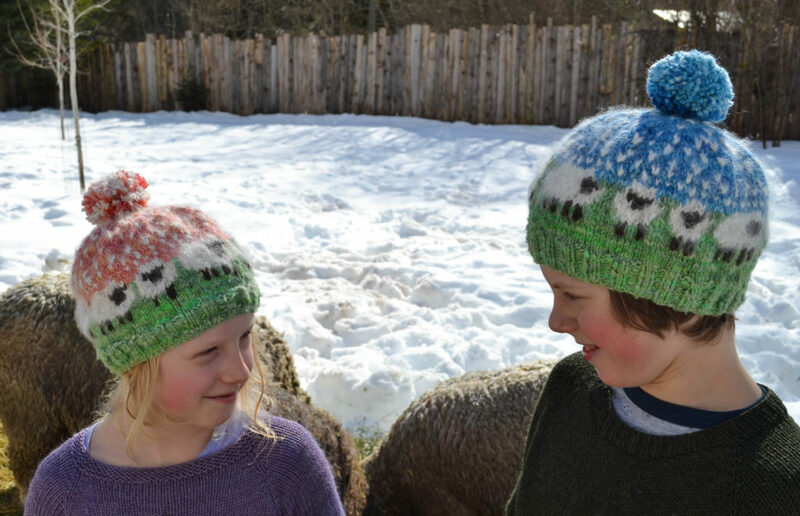 It can be a long process to make something from sheep to finish, but the rewards are immense. 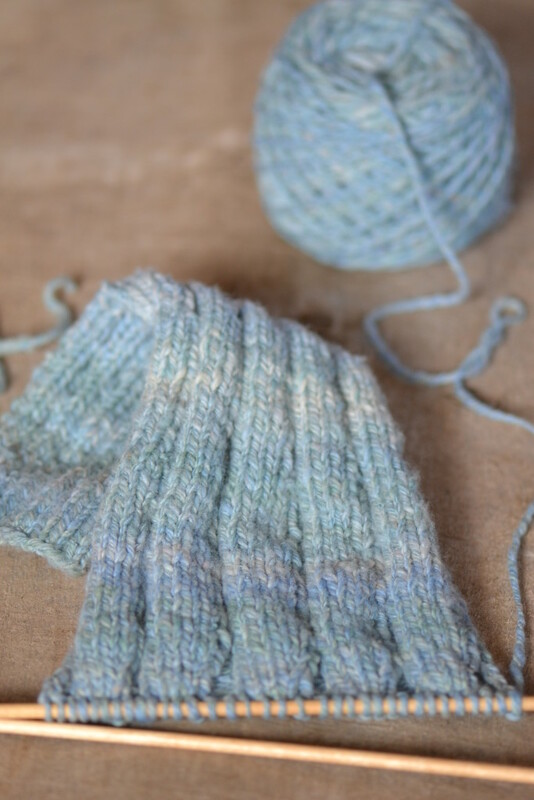 I really enjoy each step of the way and seeing how the wool is transformed into something durable and practical. My lovely assistant happily offered to model my headband, a Drops design that is quick, simple and very practical. It looks a little big on Sunshine, but she loved how soft it is next to the skin. And my five year old was quick to chime in that “it looks like a slouchy hat without the lid”. Indeed…and certainly keeps the ears toasty warm. Flora is the Beauty Queen of the pasture with her beauty mark over her lip. 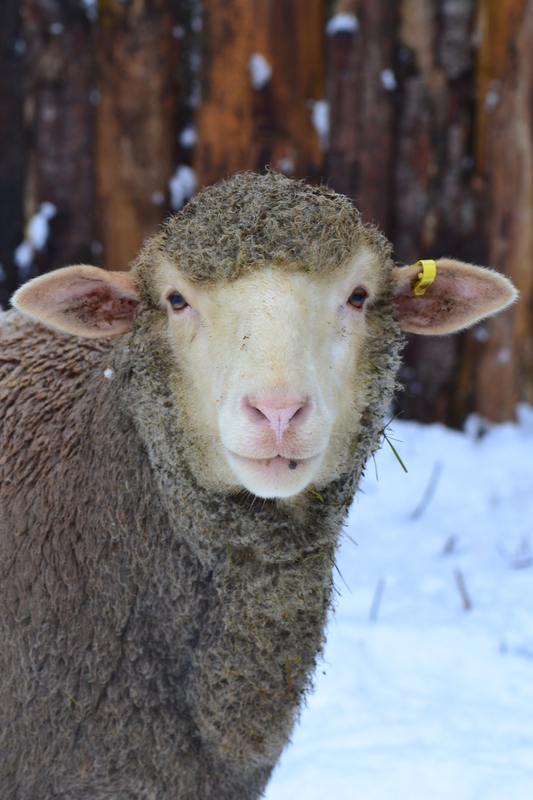 She will be a mother in another 6 weeks or so and I trust she is going to be very good…she has natural mothering instincts with the smallest black sheep in our flock. 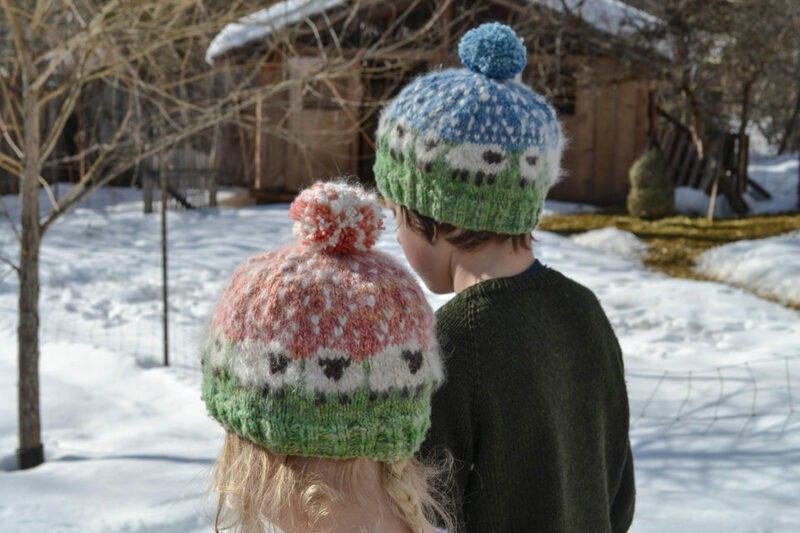 *A little crafty nest’s give-away closes Thursday at 8pm. Winner announced Friday. 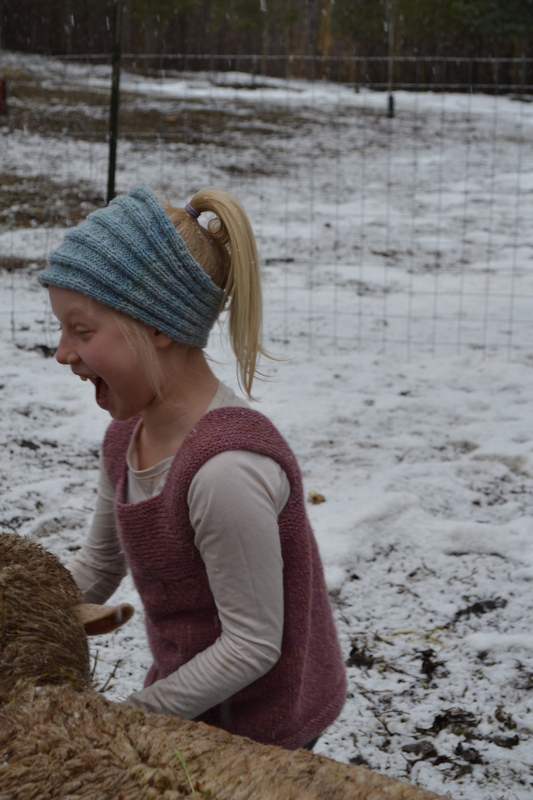 Back in March, I was looking to expand my little fiber flock beyond the merino sisters that arrived the summer before. 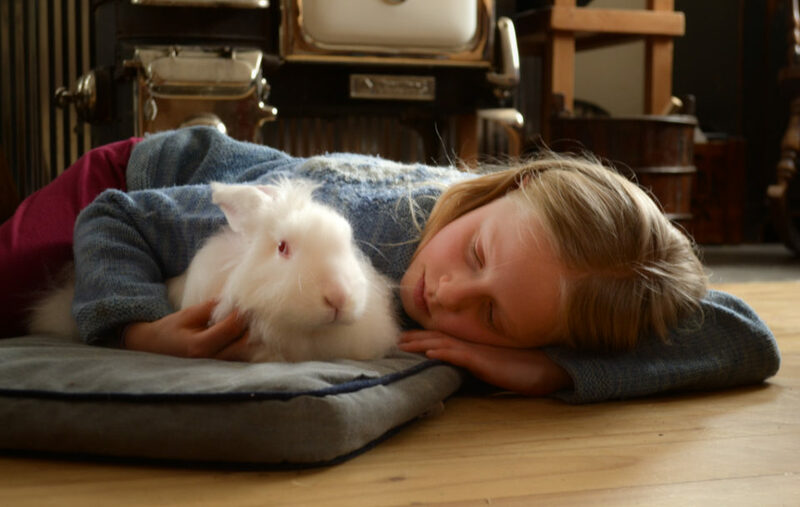 When shopping for a new breed, it is like a child visiting a toy store…so many to choose from, so many wonderful attributes for each one! 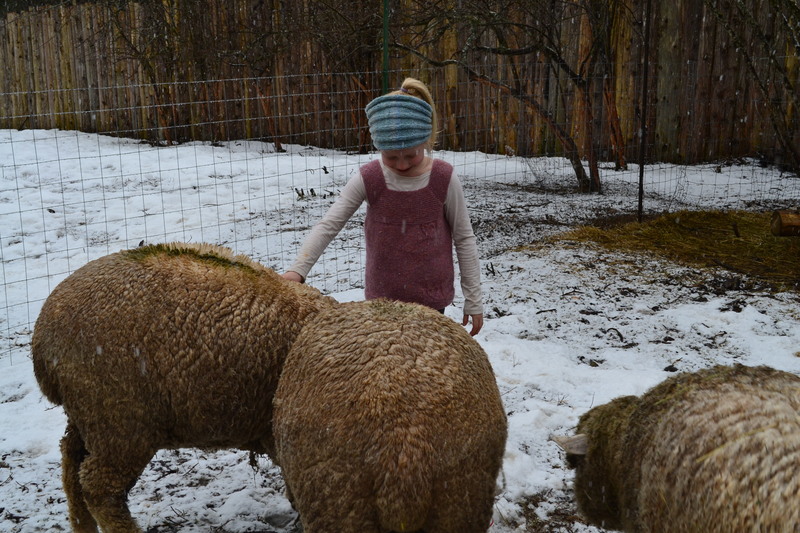 I settled on the Gotland breed, and to make sure the fleece was what I was looking for, I purchased a fleece in the raw (aka dirty) from a producer over the internet. 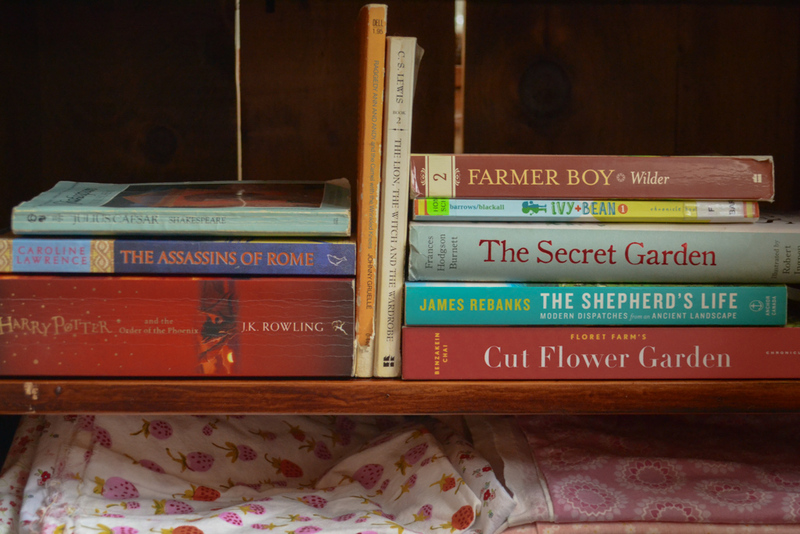 It just so happened that in the spring, Forrest was in grade 3 and the Waldorf curriculum focuses in part on fiber and wool. So, he and I rolled up our sleeves and set to work cleaning, which is really mostly soaking. 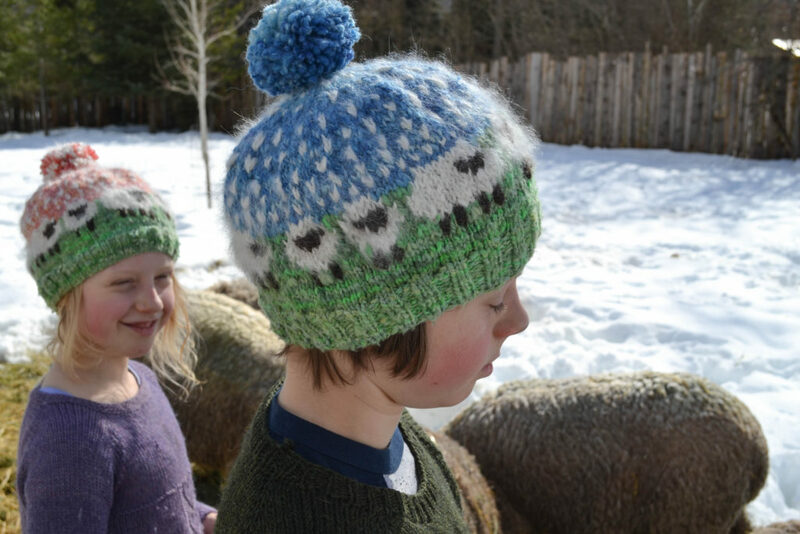 We used a clear rubbermaid to watch the water colour which is a reliable way to see how clean you’ve made your wool. At first, the water was a muddy black but after several soaks, it was almost clear. Then, we added dishsoap to warmer water and did several soaks in that. As a final rinse, you add a little vinegar to the water to disintegrate the soap suds. A little lavender oil to repel moths makes the wool smell heavenly. I sorted the wool into colours as Gotland sheep have a fantastic range of greys. 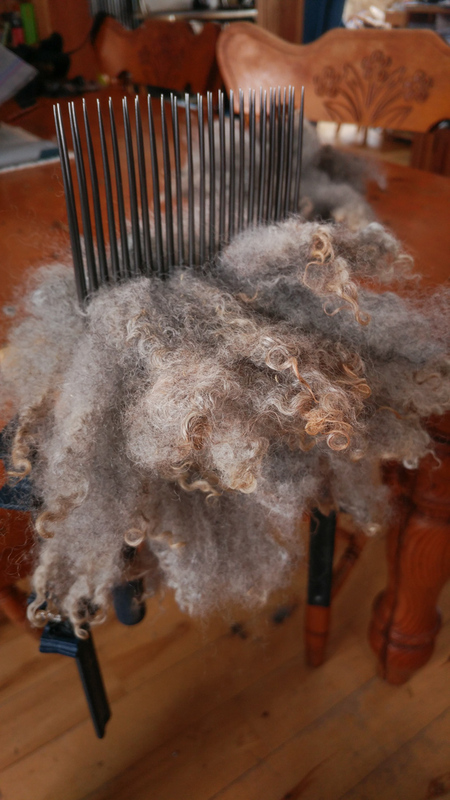 I use Viking combs rather than card my wool which gives a more aligned fibre for spinning. I quite enjoy the process, though it can be dangerous work with the 3 inch long tines that easily poke through skin! 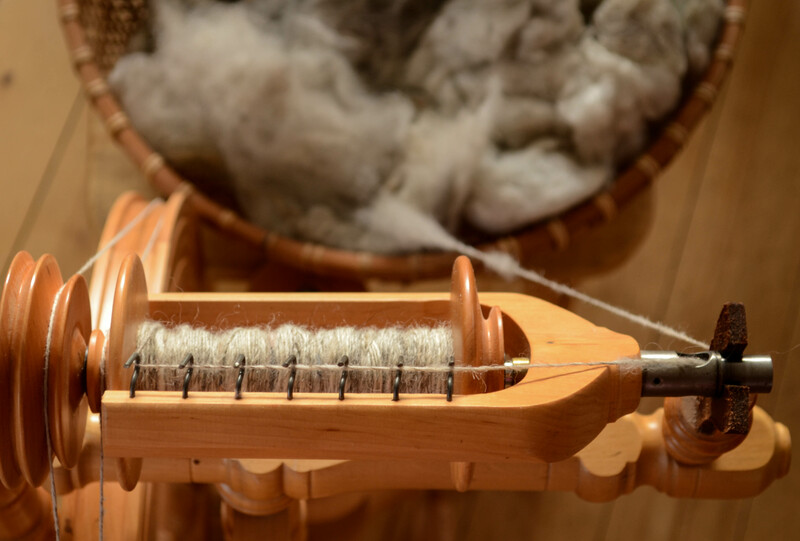 Once combed, the spinning began. I usually spin in the evenings when I can devote more time to a concentrated quiet. 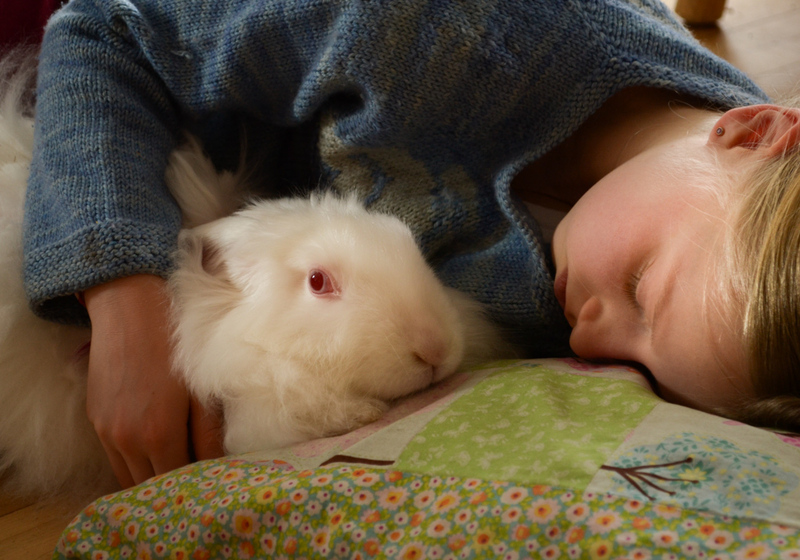 I find spinning so peaceful and rhythmic…just right before bedtime. 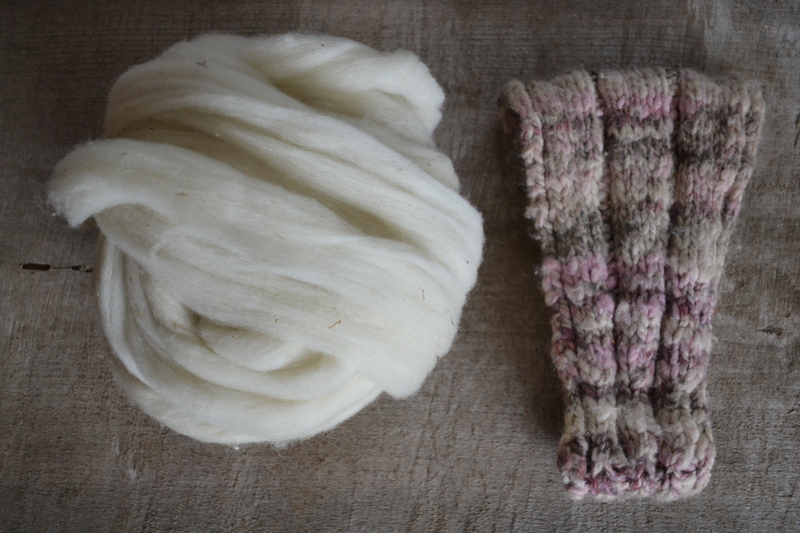 The wool is really spectacular…soft and silky with a nice long crimp. 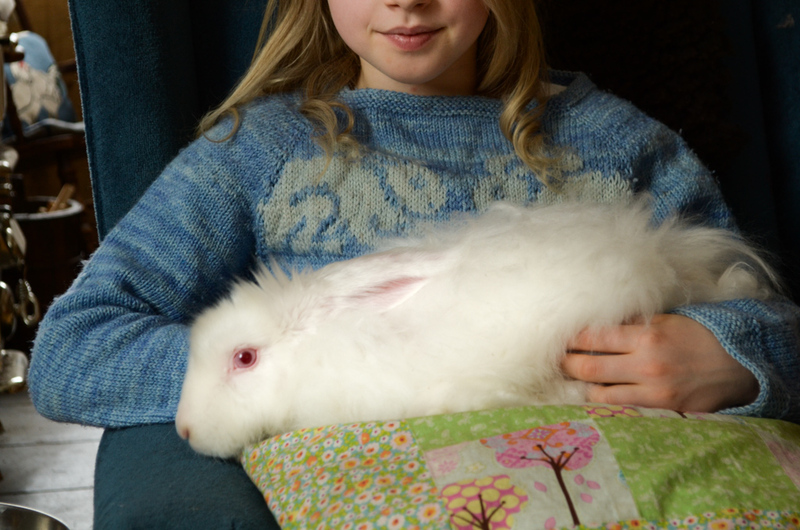 I enjoyed working with this Gotland fleece so much I ended up purchasing his newborn sister. 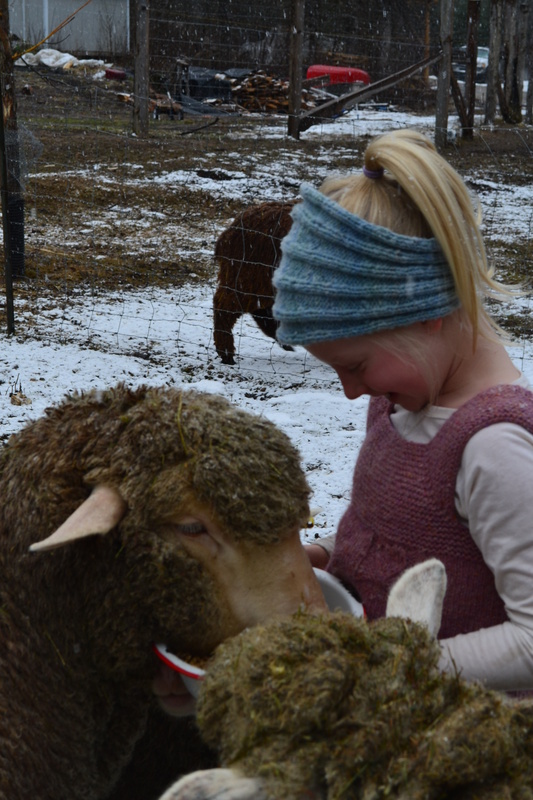 Stella Blue arrived in July this past summer and she is a delicate little doll compared to my solid and strong merinos. 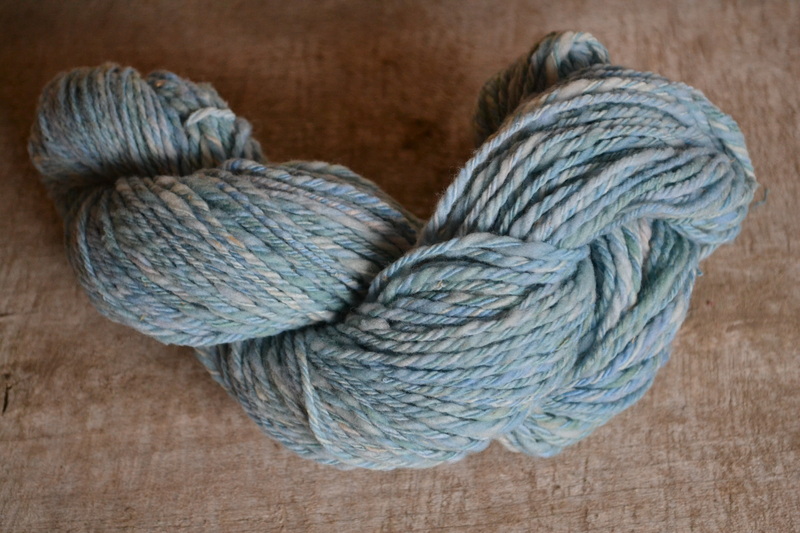 I spun up over 700 yards of three ply, most likely in dk weight. I like 3 ply the best as it has less chance of getting nubby or pilly. It takes a lot longer, but it is so much more durable in the end. 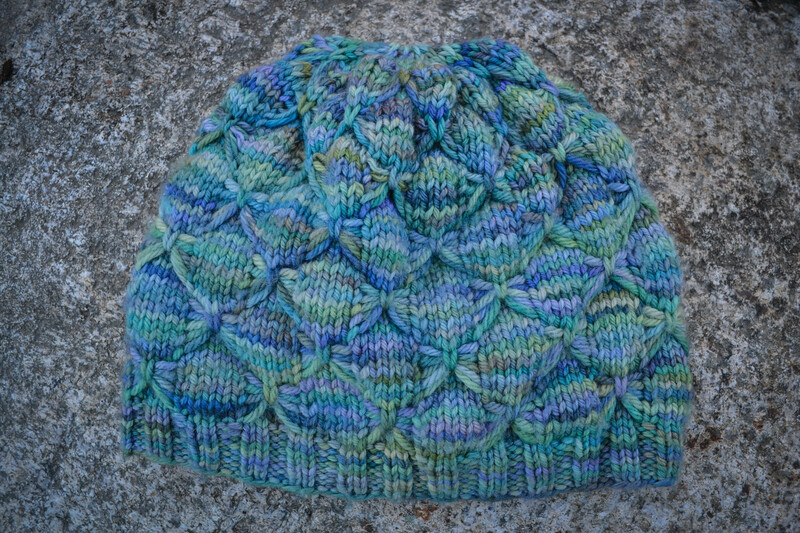 What began in March and took until October to spin, will continue into the winter months as a knitting project for one of these monkeys. I see a vest ~ or two ~ emerging from the yards of homespun wool. And if there isn’t enough wool to make two, well, after shearing day in the spring, there will be a whole other fleece to transform. Homegrown wool…the stash keeps on growing, as long as I feed my sheep.